Was it for the elite, or for the masses? The subjects of Snelling’s scorn, not surprisingly, did not take this well. Undeterred, in the book’s second and third editions Snelling asserted that he was motivated only by a sense of honor to save the public from literary horrors. Wuorinen, a student in Associate Professor of English Jay Grossman’s research seminar, was curious about whom Snelling considered to be his audience — the general public, or the scribblers themselves and the editors who published them? Information from the book’s small Boston publishing house, which would typically provide the answer, was scarce. Then Wuorinen had an “aha” moment: why not conduct a chemical analysis of the book, which would shed light on the quality of the materials and hence the demographic that could afford to read his writing? 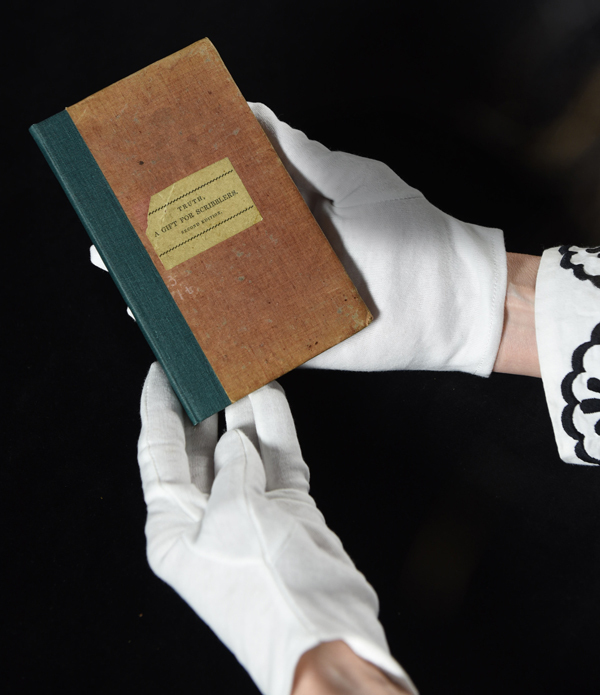 In less than a week, she received approval from Northwestern librarians, conservators and chemists, who used x-ray fluorescence spectrometry to analyze the make-up and age of the book’s paper, ink and cover. The analysis did not provide a definitive answer to Wuorinen’s question, but it did reveal numerous chemical impurities — including sulfur, potassium and arsenic — that suggest the book was not aimed at an elite audience. It turns out that Truth was not only as cheaply made as the periodicals it criticized, but in a literal sense more toxic.